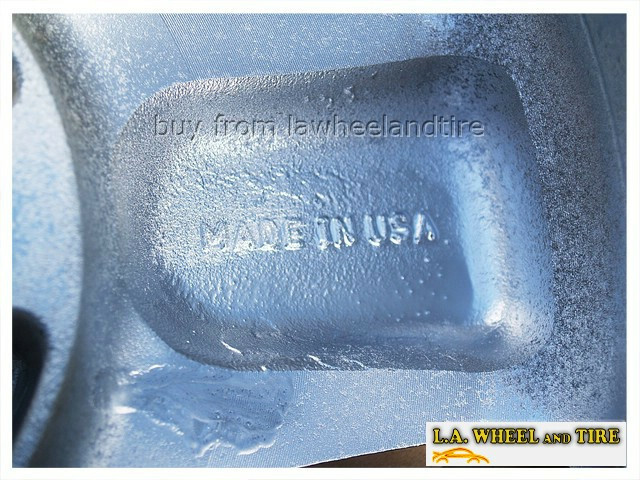 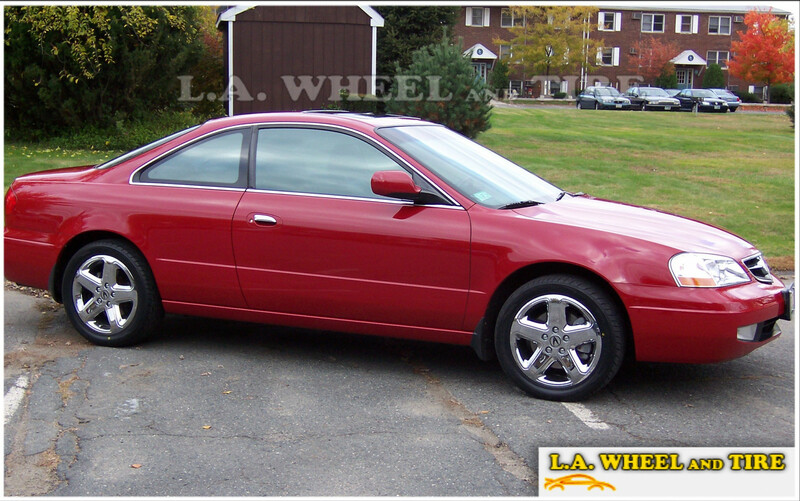 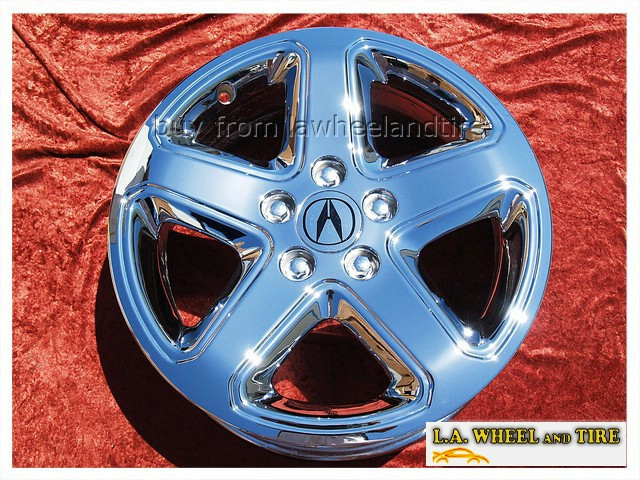 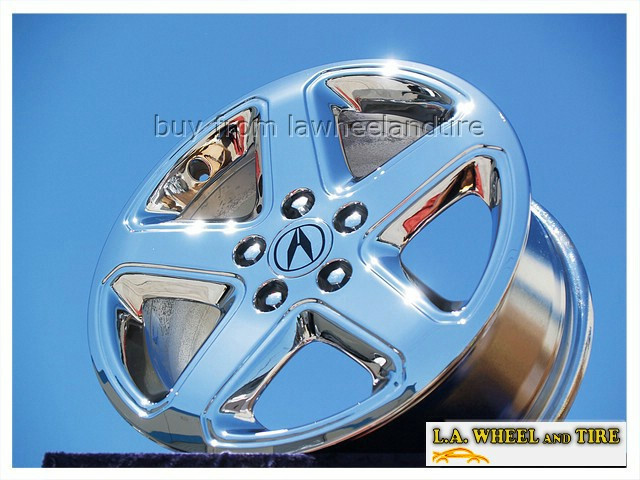 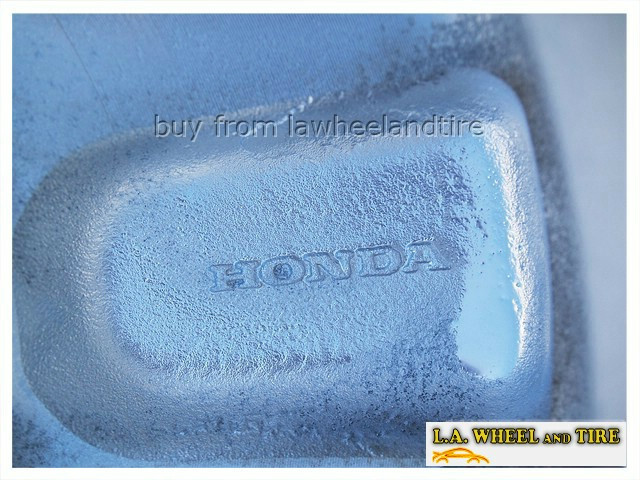 L.A. Wheel and Tire offers you our genuine factory OEM 17 inch Acura CL Type-S wheels that we have custom finished in our show-quality trivalent triple chrome. 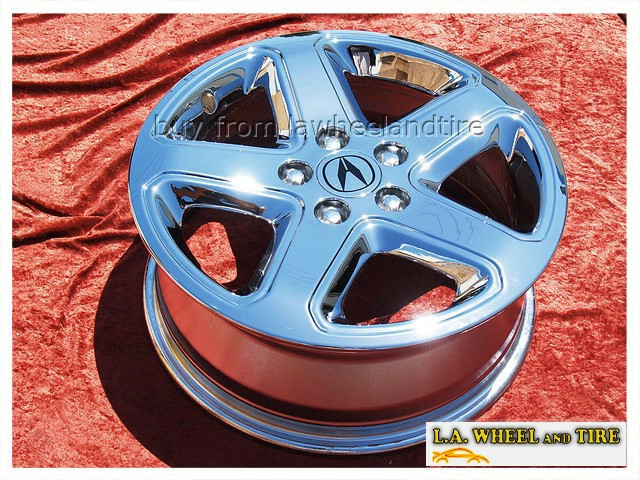 Unlike aftermarket or replica rims, OEM wheels are tested rigorously against the most stringent safety codes in existence. 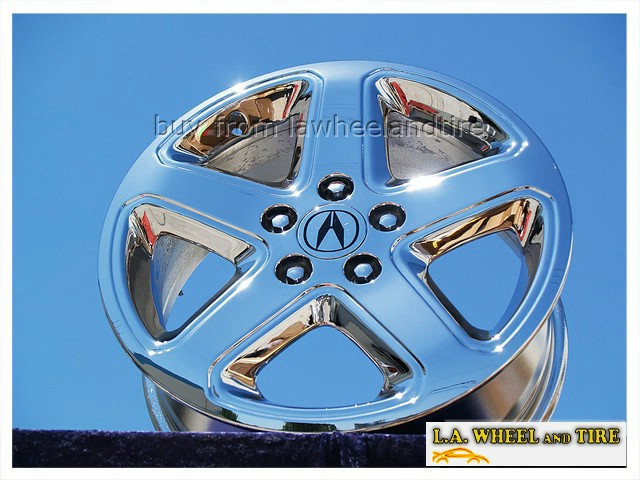 Acura isn't going to sell you a replica car, so why should you settle for a replica wheel? 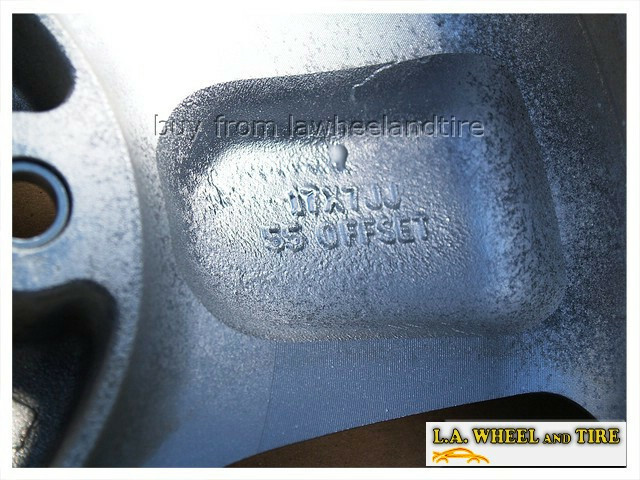 That's why L.A. Wheel deals exclusively in genuine OEM wheels: because we care about both the look and the performance of your wheels.